Global Health Solutions, GHS, a worldwide publishing house, founded and developed by F. Batmagnhelidj, M.D., the world's foremost medical researcher on the medical properties of water, is a center of education for those who prefer to adhere to the logic of the natural and the simple in medicine. GHS is dedicated to spreading the information of new science in medicine and promoting the public awareness of the hidden wonders of natural, simple, pure water in improving the public health and well-being. GHS publishes Dr. F. Batmanghelidj¡'s pioneering work on dehydration that identifies different health problems caused by persistent dehydration of the human body - a totally different perspective to the cause and cure of many human diseases until now thought to be incurable. Dr. B's two decades of research revealed a simple truth that unintentional chronic dehydration can cause diseases; it also demonstrated that many of the chronic degenerative diseases are preventable, and some of them can even be cured by increasing daily water intake. 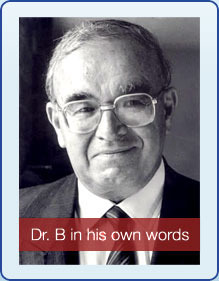 Dr. B's groundbreaking work provides new knowledge and new possibilities for improving and maintaining good health that the public need and deserve to know. GHS is proud to be the publisher of all of Dr. B's six books in the series of You're Not Sick, You're Thirsty, as well as some of his most informative and inspiring public lectures and seminars in audio-visual formats. 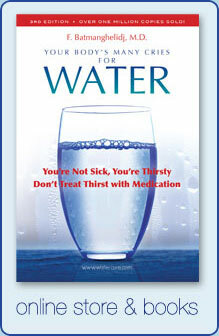 GHS is committed to fulfilling Dr. B's mission - a mission to educate the public about the truth of dehydration so that we will not become unnecessarily over-drugged; to promote the public awareness of the healing powers of water so that we can become healers of our own bodies; to transform the expensive sick-care system so that we can have a more nature-friendly, people-friendly health care system.